This gum tree is very close to the Eucalyptus family, which normally grows to between 5-10 metres in height. 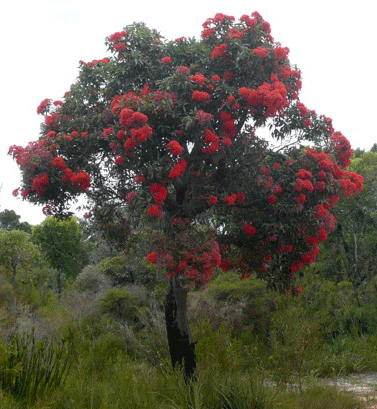 The red flowering gum is what its name suggests. A gum tree with bright red flowers. During the summer, the flowers come out in force and the tree looks more red than green. A small part of southern Western Australia is where this native plant can be found naturally in the wild, but generally likes sandy soils and moderate climates.